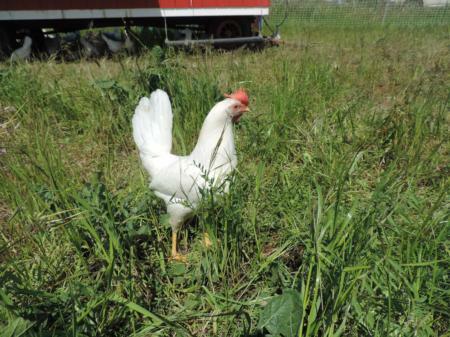 Thank you for your interest in our beginning free-range/pastured poultry farmer workshops! At these workshops, we will have talks, hands-on laboratories, and local farm tours. Each workshop will be unique, and will feature experts in the field and local farmers leading conversations about husbandry, preventative practices, coop design, marketing, profitability, regulations and more! These workshops will be held throughout California and in Corvallis, OR. Topics and dates may be subject to change. Please contact Anny Huang at asahuang@ucdavis.edu with any questions. If you would like to request a fee waiver, please contact Anny Huang at asahuang@ucdavis.edu. We don't want anyone missing out on information because they are unable to afford the courses! Missed our workshop series? Click here to view the recordings and resources from those workshops!